I'm really back in the video making spirit....3 videos in one week. WOW! it's been a very long time since I've done that :) Feels good. 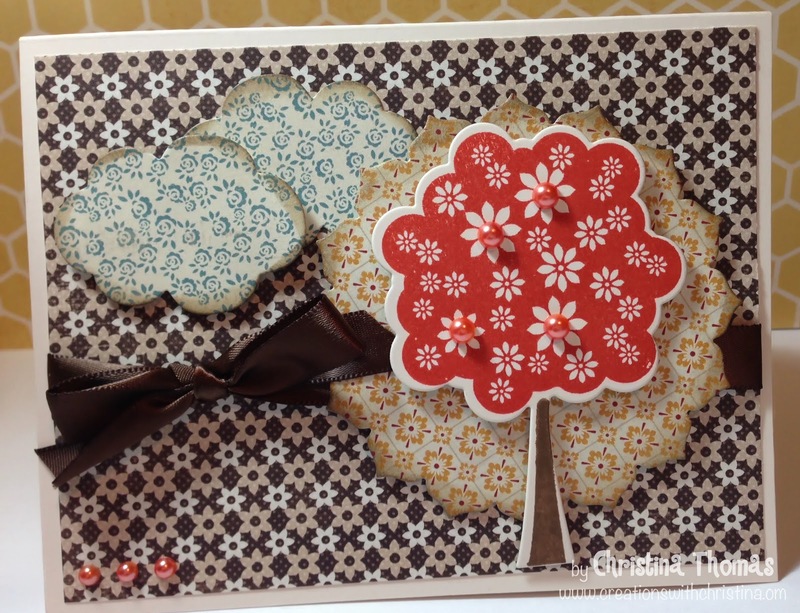 Today's Stampin' On Friday video features the Paper Trey Ink stamp set called Floral Foliage. Such a great little stamp set that can be used anytime during the year. Also the Kelly Purkey's Autumn set from Simon Says Stamps that came out in September for their Stamptember celebration is great for cards or just about anything scrappy related. Love it! You seem to have no problem with the acrylic stamp positioner. Mine always smears if I don't hit it right the first time. Guess I have to practice more. This is so pretty! What a great use of dies and dp!